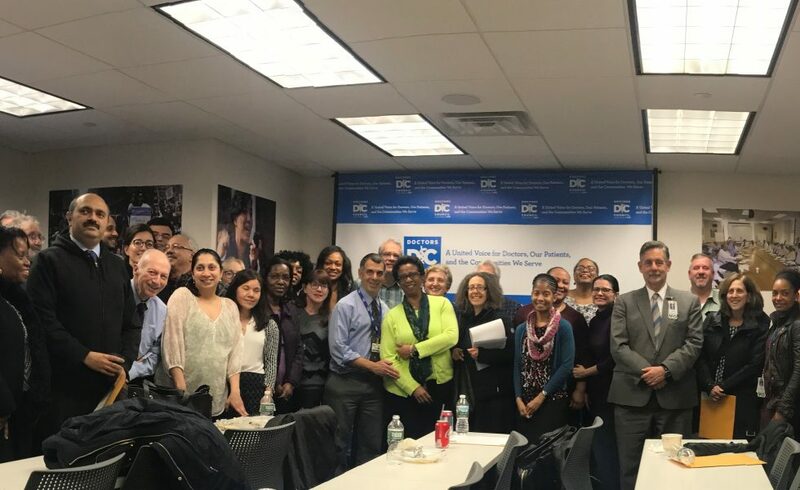 Shortly after being appointed CEO and President of the New York City Health + Hospitals system, Dr. Mitchell Katz met with Doctors Council members. Dr. Katz laid out his vision and strategy for the health system. A large portion of the meeting was our members speaking up and giving input about what is needed to improve the system and patient care/ experience. 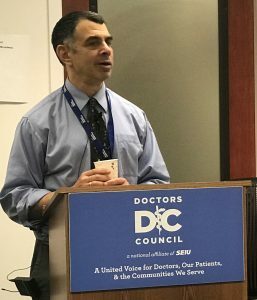 In addition, our members stated ideas on improving what doctors can do at work, avoiding physician burnout and a number of other topics such as IT/ EMR/ Medicine Reconciliation. Dr. Katz listened to the feedback of the frontline doctors and answered questions for nearly two hours.